We love finding and drinking beer around the world. 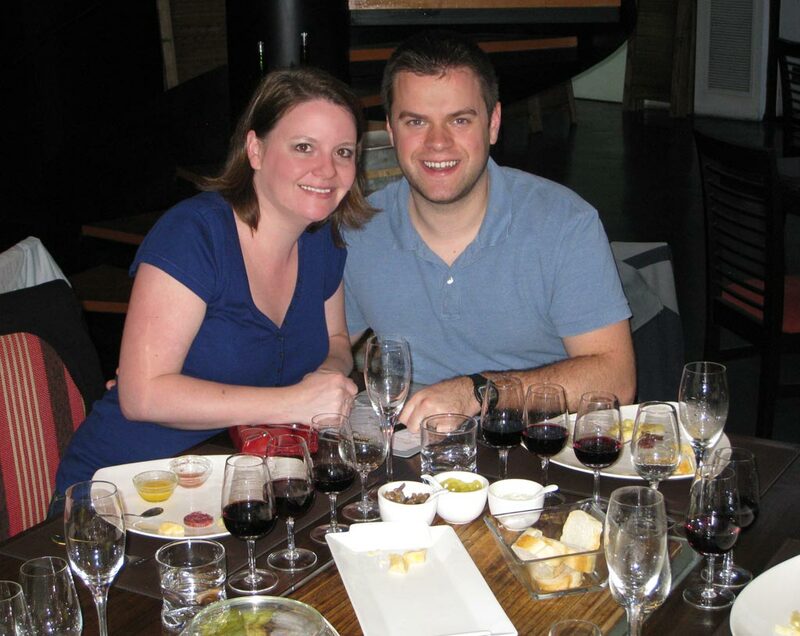 In fact, we factor it into every itinerary we plan, looking for where we can try some of the local beer that is unique to the area we’re visiting. Now that there are a lot of craft beer makers around the world, it’s gotten even more fun. We’ve explored the craft beer scene in Philadelphia, gone on a beer tour in Amsterdam, attended a beer festival in England. Each time we’ve come away with a new beer we’d love to be able to drink at home. It’s not as difficult as you might think to get ahold of world beers at home. Supplies often stock kegs of favorite world beers, like Guinness, Heineken, Paulaner, etc. So we thought, why not get a home kegerator so we can drink our favorite beers of the world at home! Whether you’re buying a keg of your favorite microbrew, or you’ve just made a batch of your own homebrew beer, you’re going to need a good way to store and serve it. Buying a kegerator is one of the best ways to ensure the quality of your beer. But how do you sift through all the choices and decide on the best kegerator for your needs? Believe me, I’ve been there. 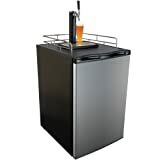 I’ve spent hours researching the best kegerator deals and trying to find the best kegerator for homebrew. It’s a tedious and thankless task, but you don’t want to spend your hard-earned money on a kegerator that won’t keep the beer at the right temperature or carbonation level, or that breaks down often. In case you don’t have a lot of time to read all of the reviews below and you’re just looking for a list of the top home kegerators, we’ve put together a quick-pick table for you. Most of the single-tap kegerators available on the market today are very similar, but some work better than others. Here are our top picks. Variety — You can buy bottled craft beer from around the world, but why buy it bottled when you can have it right on tap in your own living room. There are hundreds of beers around the world that you can get in a keg. Convenience – There’s nothing like coming home to cold, fresh homebrew on tap. Having a home kegerator allows you the convenience of always having beer on draught. When friends come over unexpectedly, you’ll win the best host award when you pour everyone a cold homebrew from your own kegerator. Not having to bottle your beer – For me, bottling homebrew was always a major ordeal and I was never sure if it was going to turn out well. After all of my hard work making a great homebrew, seeing the bottles explode from over-carbonation or having the beer turn out flat because of under carbonation was a huge downer. It wasn’t until I bought our first kegerator that I gained peace of mind that my beer would turn out well. Cut down on the price of homebrewing – Homebrewing itself drastically cuts down on the cost of drinking beer, but if you have to bottle it, you’ll end up spending more per beer than if you kegged it. Having your own kegerator cuts out at least a quarter of the price of homebrewing. Being able to change the temperature and carbonation – If you’ve made a few different styles of beer, you know already that each beer needs to have its own level of carbonation and to be stored and served at a different temperature. Having your own kegerator allows you to adjust these parameters based on the style and type of beer you have on tag, so you can serve your Stouts and Lagers at the proper levels. Being able to pour as much or as little as you want – I don’t always want a 12oz beer. Sometimes I want a pint, sometimes I want a liter. With your own kegerator, you can choose how much beer to pour each time. Less wasted beer! Usually the first factor we consider when shopping for such an expensive item is the price. You want to get the best value for your money. Whether this is your first kegerator or you’re exchanging up for a better kegerator with more bells and whistles, it’s all about trying to find the best kegerator you can affordable. The range of prices is incredible. You can easily pay $3000 for the best commercial grade kegerator, or you can spend as little as $350 for the best low end kegerator. 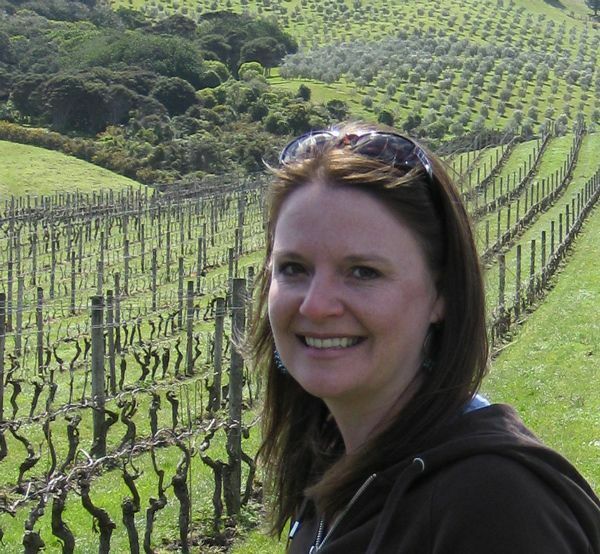 My advice is to choose a budget that you’re comfortable with and shop within that range. You can always add additional kegerator accessories and equipment after the fact. When I was searching for our first kegerator, I was only interested in buying a dual tap kegerator, because we always had at least two homebrew batches ready to drink at any given time. You may also be into homebrewing and want the ability to serve multiple beers at once, or you might want to expand your selection by having two of your favorite commercial brews on tap. While there are 3-tap kegerators on the market, it’s easiest to find a single or dual-tap system. To determine the right system for you, also think about what type of kegs you’ll want to fit inside. Most of the best home kegerators on our list hold a typical range of keg sizes: 1/4 Barrel, (2) 5 Gallon (1/6 barrel) & 1/2 Barrel Full Size. You can fit one of each of those sizes, or two 1/6 barrels. So if you’re wanting to have two beers on a dual tap system, you’ll need to use 1/6 barrel kegs. It’s best to check the size of the kegs you think you’ll typically be using to make sure you know what you need. If you’re planning to use the kegerator for homebrew, you need to be aware that homebrew kegs require a different coupler to attach to the kegerator. Each of the top kegerators mentioned in this guide come with the components need to tap a commercial keg (Sanke kegs). You will need to get a kegerator homebrew conversion kit in order to use the typical corny kegs used for homebrewing. Don’t worry, it’s fairly easy. We all know buying a kegerator is a major purchase. Yes, we’re back to value for money again. It’s important! Your purchase might come with extras like a regulator (or dual regulator), CO2 tank (filled or empty), line cleaners, adjustable temperature control, drip tray, guard rail, castors for the base, etc. You want to be sure you know what comes with your purchase, as buying all of these items separately can really add up. if you’re looking for the best kegerator for the garage, but it does make a difference if you’ll be putting it in your living room. Some kegerators are noisier than others. Popping is a common noise from kegerators as they expand and contract, and the constant clicking on and off of the fan motor can be distracting and annoying. Just as with any market, there are a number of good kegerator brands to choose from. Brands also tend to come and go, or you might find a kegerator from a brand that doesn’t sell a high volume of them. Here are our top kegerator brands 2017. One of the most popular kegerator brands is Edgestar. They have a large range of kegerators, like single tap, dual tap, ultra-low temperature, stainless steel, kegerators with digital displays, as well as built-in kegerators, mini kegerators, outdoor kegerators and commercial kegerators. It’s the brand most highly recommended for first-time kegerator buyers. They’re easy to use and reliable. Nostalgia only offers a small range of kegerators – the standard single tap, a dual tap and a stainless steel version. The company focuses on building products that have a connection to the past and draw on nostalgic memories of great products we once had, but the kegerator line doesn’t necessarily reflect that. triple faucet digital homebrewing kegerator that comes with three kegs, that would be any homebrewer’s dream machine. Kegco kegerators are a good bet, as they offer a good range of prices and features to suit most buyers and are reliable. This is a brand you may not have heard of before. If you’re concerned with name brand recognition, you should probably avoid the Versonel. It’s a sleek-looking, entry-level kegerator with a stainless-steel door, so it looks nice and fits most interiors. You might not be able to expect the same level of care in manufacturing or reliability as some of the brands that have been around for a long time. Keggermeister can be counted on for quality, well-built products. Their kegerators receive high reviews from owners for styling and reliability. The sleek black design won’t stand out inside the house, and even the entry-level kegerators tend to hold up well. I’m sure you have some questions you need to have answered before you decide if a kegerator for home use is right for you. We’ve compiled a few of the most-asked questions about kegerators here for you. If there’s a question you have that isn’t answered below, feel free to get in touch with us and we’ll do our best to get you an answer. What parts are included with a kegerator? What is included with your kegerator depends greatly on the model and package you buy. Some kegerators come with everything you need, even down to the CO2 tank, but most don’t. Most kegerators include a tap tower kit with everything you need to dispensing beer: the tower and faucets, some plastic handles, the hoses, the coupler and regulator. The things typically not included are a carbon dioxide (CO2) tank and kegs. Check the listing to be sure what you’re getting before you buy. What size keg will fit in my kegerator? As kegerator sizes vary greatly, so will the size of keg you can fit in yours. If you’re a huge Coors or Miller Lite fan, you need to be aware that many kegerators don’t fit these kegs because they are a bit fatter around, due to a thick band in the middle. The kegerator needs a width of 23 inches or more in order to fit these brands. Many kegerators can fit one or two Cornelius and sixth barrel kegs, a full size keg, or two halves. What kind of coupler do I need? Most kegerators come with an American Sankey “D” system keg coupler, which is compatible with domestic-brand kegs. You will need to get a kegerator homebrew conversion kit in order to use the typical corny kegs used for homebrewing. What do I need to tap my keg? Likely, almost everything you need to tap a keg was included in your kit. You will need to get a CO2 canister, if your kit didn’t come with one, and get it filled. And you’ll need to supply your own beer or domestic keg. In order to tag a keg in your kegerator, you’ll need to full set up the kegerator per the manual’s instructions. Once the kegerator is at the right temperature, you just need to install the keg of your choice with the supplied hoses and couplers. How long with one CO2 canister last? A standard, 5-pound CO2 tank will last for around 4 kegs, but this depends on if it is kept cold and has no leaks. We’ve gone through a whole canister in less than one keg due to inaccurately attaching the lines. Once we worked out all the kinks, the canister lasted through 3-4 homebrew kegs. At what temperature should I store my keg? Each beer style requires it’s own temperature. You may also have personal preferences that will play into how cold you keep your beer. The recommended temperature for storing and serving beer is between 35 and 45 degrees F. Americans tend to prefer their beer really cold, but that’s not necessarily what is best for the beer. If kept too cold, it might freeze. When chilled properly, the beer will stay fresh longer. Can the kegerator be used outdoors? Most kegerators are made for indoor use only, but there are some that are specially built to handle the stress of being kept outside. It is not recommended to use an indoor kegerator outside. They aren’t built to withstand the conditions. Can the kegerator be built into the cabinetry in my kitchen? Some kegerators can be built in, though you need to make sure you’ve found the right model. Typically, the basic model cannot be used inside a cabinet because the fans aren’t built to be that closed in. Always check with the manufacturer before building it in to a small space, to avoid fire danger. Is it easier to use a kegerator than to bottle beer? Oh absolutely! It’s much easier to have a kegerator to dispense your homebrew than to bottle your own beer. You have to get the carbonation level just right with bottles, and then you have to store them in the refrigerator anyway. Why not skip that step and serve your beer directly from the tap. The Nostalgia KRS2100 kegerator is also an entry-level kegerator, but it doesn’t include as many accessories as the Edgestar KC2000, so for the money you won’t get as much value from this unit. It is a 5.1 cubit foot refrigerator and comes with one shelf for when you’re not using it as a kegerator. When you do put a keg inside, keep in mind that only standard kegs can fit inside. The Nostalgia kegerator has a 13-inch black tap tower with a drip tray and chrome guard rail to protect against spillage and accidents. It comes with an empty 2.5 lb CO2 tank and casters to easily roll across the floor. This single-tap kegerator comes with all of the equipment you’ll need to get started using your kegerator, including a double-gauge CO2 regulator, a Sankey D system keg coupler for tapping domestic beer kegs, and an empty 5 lb CO2 tank that will slide right into the outside mount. You can fit all standard-size kegs inside, but won’t be able to fit non-standard or rubberized kegs. The unit also comes with two shelves for use as a refrigerator. If you’re looking for a super quiet and energy efficient kegerator for in-home use, the Kegco kegerator is your the best choices. It is both quieter and reportedly 25% more energy efficient than other kegerators on the market. There is a thermostat adjustment knob right inside the door to efficiently lower or raise the temperature of your beer, as needed. The unit features a single faucet, aluminum draft beer tower and a stainless steel exterior that looks both sleek and higher-end than other units. It will keep your home bar or kitchen classy. The Kegco beer cooler also has a stainless steel interior floor mat to distribute the keg weight evenly. This will help prevent damage to the unit floor over time. ★ Read our full review of the Kegco Kegerator. 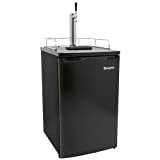 The Edgestar KC2000 is one of the best-selling kegerators on the market today. Consumers believe in the Edgestar brand and are confident in the reliability and value it offers. Being that the KC 2000 is an entry-level kegerator, it delivers big on accessories, making it a great solution for most kegerator buyers looking for value for the money. While the Edgestar KC2000 doesn’t come with a keg included, it does come with many other components, like a new 5lb CO2 cannister, a built-in CO2 mount on the backside of the unit, a drip tray and metal guard rail for the top of the unit, a nice-looking stainless steel draft tower with faucet and NSF approved beer and air lines. Edgestar uses high-quality parts so construction is rarely an issue. Once the thermostat and CO2 are adjusted, they stay fairly consistent and user-friendly, which is highly appealing to a first-time user or someone who just wants to set it and forget it. You shouldn’t have to fuss around too much with the regulators. Another thing that makes the Edgestar KC2000 appealing is the ultra-low temperature levels it is able to acheive. You can chill your beer into the low 30s, which should be more than enough for any beer you have on tap. Here is another option for those looking to use non-standard commercial size kegs with the kegerator. You can fit the larger, rubber-sided kegs inside this full-sized kegerator. It has a nice sleek black styling on the unit and the tap tower that will go well with any decor or hide neatly in a corner, if you don’t want it noticed. The unit comes with a 2.5lb C02 tank that will have to be filled prior to use. It comes with a guard rail and drip tray to keep things neat, and also has castors for easy rolling on hard surfaces. Like the Versonel kegerator, the Keggermeister has an external LCD temperature reading and a dual gauge regulator to monitor the PSI in the line and how much CO2 is remaining in the cylinder. Believe me, you’ll really enjoy that feature. Many users find this to be a good, reliable kegerator, but some do have trouble regulating the temperature and CO2 pressure. It may take a little more adjustment than other kegerators. It is also noisier than other units, so if that’s a concern for you, you may think about going with a quieter unit, like the Kegco. Having gone through this decision-making process to buy a new kegerator myself, I understand completely how difficult it is to decide. I hope this guide will help you narrow down the choices and make a good purchase. We can’t live without our kegerator now that we’ve got one! I wish you many happy home brewed beers! Like this post? Why not save it to Pinterest for later. This entry was posted in Beer, Reviews and tagged reviews.